Gone are the days that you have to opt for ugly storage hooks and space saving pieces. An organisational piece for your home, this Traditional Single Coat Hook will add class through simplicity adorning your walls ready to house your coats, cardigans and scarves. 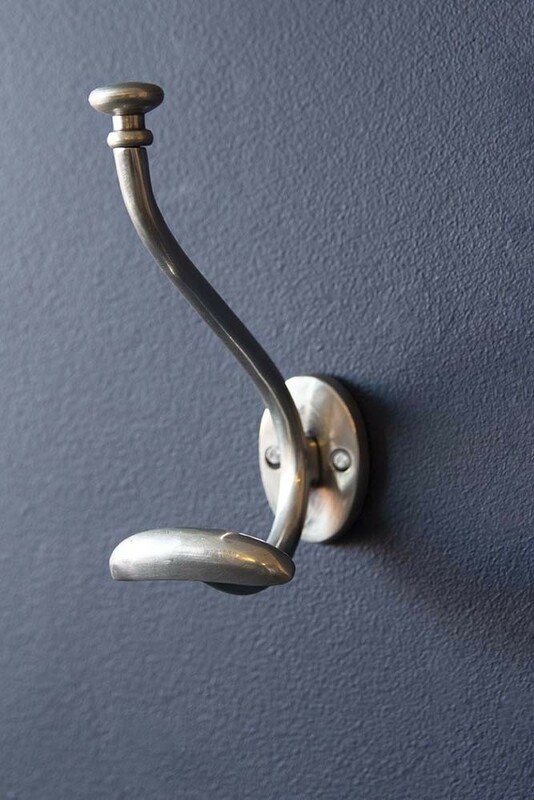 Finished in a brushed satin, the coat hook is traditional in style with one bar that essentially provides 2 hooks for you to hang clothes, coats, hats and bags from. Position the Traditional Single Coat Hook on it's own or buy a few and create a practical yet stylish feature on your wall to house all of the family's coats for the winter.